Ready to Join the Morrice Family? Want to speak to a Recruiter NOW? Call at 1-800-567-3260 x 150. Morrice Transportation’s success is directly related to the quality of the services we provide to our Customers. We are proud of our employees’ focus on the ever-changing needs of our Customers and their ability to provide them with a flexible, dependable service in a timely and reliable manner. As a customer driven company, we are committed to meeting both the present and future transportation needs of various industries. We realize that while it is important to look to the future, it is imperative to ensure that current operations run smoothly. This commitment includes optimizing the use of all of our resources within our high safety standards. We are dedicated to implementing the most modern technology in our industry. Our information system is fully computerized and integrated, including dispatch functions and satellite tracking. 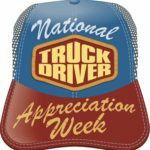 Truck Week is Sept 10 – 14 – Week long activities!